Snacks are very important. They keep us satisfied in between meals and sometimes, serve as a mini meal for those times when we are running late, super hungry or too busy to take our lunch break on schedule. Planning a wedding adds an additional layer of appointments, meetings and events on our daily calendar which means more snacks are needed to power us through our days! The key here is selecting the healthy snacks that not only fuel our bodies and satisfy our appetites but are portable too. Bring this list with you to the grocery store this week to kick off the New Year in a healthy way! Think apples, oranges and bananas. These fruits are easy to throw into your bag and do not need to be refrigerated. Pair these fruits with a portable packet of peanut butter or handful of nuts for extra staying power. The nuts and dried fruits which make up your traditional trail mix have the right balance of healthy fats and carbohydrates to satisfy your appetite and keep your focused. Skip the store made trail mixes and make your own! Pick your favorite unsalted nuts – almonds, walnuts, cashews, peanuts. Pick your favorite dried fruits – raisins, cranberries, craisins, dried peaches or bananas. Prepare small zip loc baggies with a handful of each and throw into your purse for easy snacking! 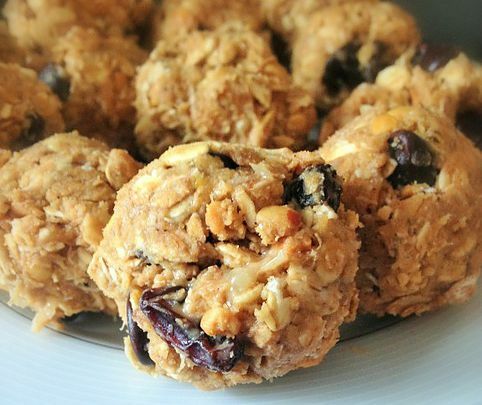 If you have some time to plan ahead and want to make your own portable energy snack, try making your own healthy energy bites by following this easy recipe. *optional, but recommended if you have it! Combined all ingredients in a bowl and mix well. Using your hands, roll into small balls and place on a plate. Refrigerate for 30 minutes before eating. Store energy balls in the refrigerator or freezer. Energy Bites can be taken with you in a ziploc bag or container.